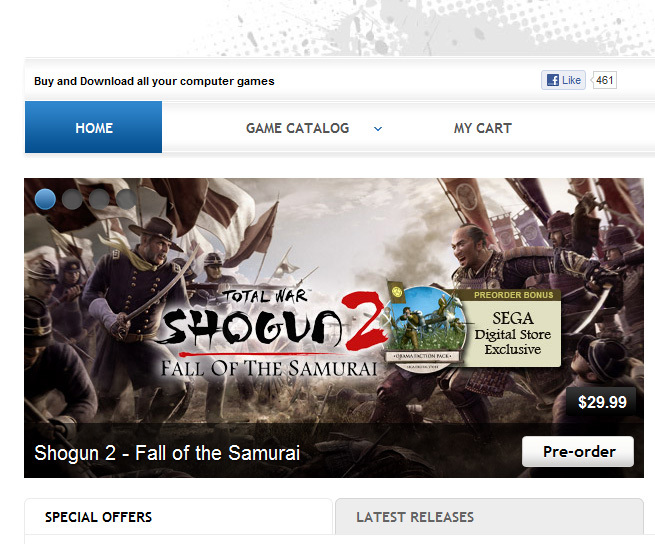 Courtesy of forum user RGamer2009, Sega of America has recently launched their digital download store to make it easy for people to locate SEGA titles for purchase through their own website. Currently the store only offers a line up of PC titles, including DLC, with no known plans for other platforms. The games can either be downloaded through Sega’s website, or if it’s noted, will give you a Steam key to activate on Steam instead. In addition, a network connection is usually required to activate your games online. This means that most, if not all titles, will have DRM enforced. This includes a limit as to how many times a game can be activated, and you must contact Sega directly to gain more activation codes. With most of the legal hoopla out of the way, some of the games you can expect on the service include Steam activated titles such as Sonic Generations, Renegade Ops, and Football Manager 2012. In addition are non-Steam activated titles including Sonic & Sega All Stars Racing, House of the Dead 2, and of course your usual suspects of Sega Genesis Classic Collections. 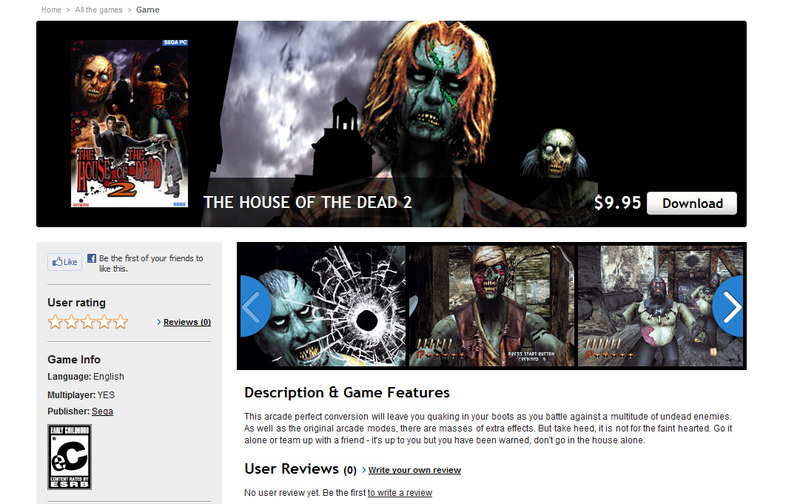 There are a few problems with some of the store’s game specifications and logistics. For example, at the time of this writing, House of the Dead 2 was given a rating of Early Childhood. Plus the Sonic 20th Anniversary Pack which includes six Mega Drive/Genesis related Sonic games is offered for $29.99 compared to Sonic Mega Collection Plus, which is also readily available with six Game Gear games, comic book covers, illustrations and more for $9.99. Still, an interesting move to combine games sold through Steam as well as bringing back a handful of respectable PC ports through one service. There are a few problems with some of the store’s game specifications and logistics. For example, at the time of this writing, House of the Dead 2 was given a rating of Early Childhood. Plus the Sonic 20th Anniversary Bundle which includes six Mega Drive/Genesis related Sonic games is offered for $29.99 compared to Sonic Mega Collection Plus, which is also readily available with six Game Gear games, comic book covers, illustrations and more for $9.99. Still, an interesting move to combine games sold through Steam as well as bringing back a handful of respectable PC ports through one service.